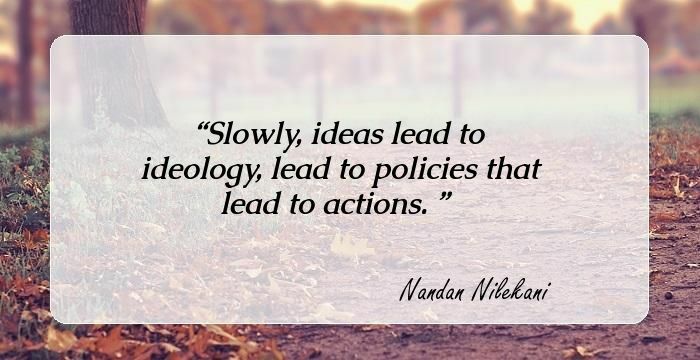 Nandan Nilekani is the former chairman of Infosys, and one of the co-founders. In 2009 he bid adieu to the organization after working for a little less than three decades. Regaling his experiences when Infosys was in its nascent stage, Nilkeni recollected how he carried his first computer on his lap during a trip he was making from Mumbai to Bangalore. The electrical engineer decided to pursue a career in public service when Prime Minister Dr. Manmohan Singh approached him to head the UIDAI – Aadhar Card project. 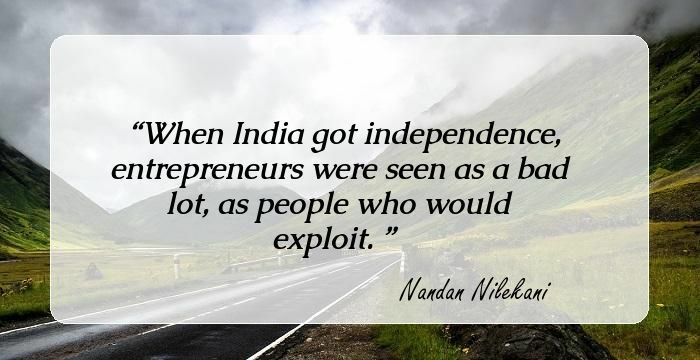 Commenting on the transformation in his job, Nilekani said, "I am leaving an organized world. Here, standing at the top of an abyss, even if I were to fall, I may find water. But, in my new role, I'm supposed to work with 600 government departments knowing fully well that no two government departments get along with one other.'' However he also added that public service was always at the back of his mind, and that his father and uncle were also public servants. 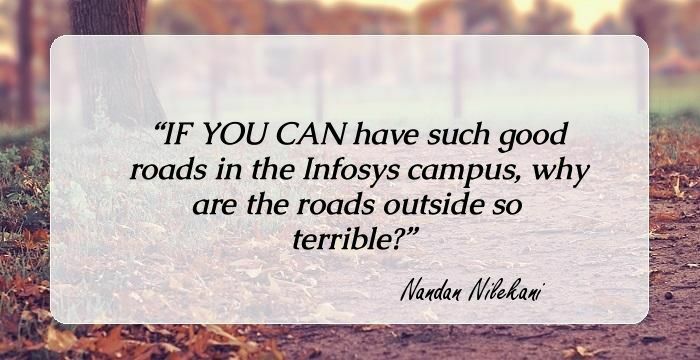 IF YOU CAN have such good roads in the Infosys campus, why are the roads outside so terrible? I don't decide my politics based on the flavour of the month. I'm in politics to make the lives of millions of Indians better.